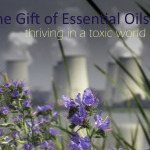 Dr. Pat presented the following slide show live to a group of essential oil enthusiasts. We are now pleased to offer it to to you here on the web. Is there a Link between the Heart, Love and Beauty? To Keep an Opon Heart by Dr. Patricia Lawler is licensed under a Creative Commons Attribution-NonCommercial-ShareAlike 4.0 International License. The following transcript is of the slide content only. It can serve as a reference tool. Spoken words are not included. 14. How are You Affecting Your Neighbor Right Now? 19. Sympathetic Nervous System Activation 1. Increase in arterial (blood) pressure. 2. Vasoconstriction of blood supply to the glands. 3. Increase of blood supply to the muscles. 4. Increase in the rate and force of the heart beat. 5. Increase in the rate of cellular metabolism throughout the body. 6. Blood glucose concentration increase due to release of glucose from the liver. 7. Increase in rate of blood coagulation. 8. Increase in mental activity. 9. Inhibition of digestion as well as the functions of the liver, gall bladder, the ureter and the bladder. 10. Breath is shallow and in the throat unless you’re running! 21. How Many Lions Have You Run Into Lately? 24. Parasympathetic Nervous System Activation 1. Enables digestion. 2. Calms the heart. 3. Puts the muscles at rest. 4. Stills the adrenals. 5. Relaxes the mind. 6. Decreases blood pressure and heart beat. 7. Breathing becomes deep and relaxed. 8. Strengthens immune system. 30. Are we Sharing Chaos or Coherence? 31. How do You Know if Your Heart is Open? 32.  Use Muscle Response Testing or Pendulum to assess your level on a scale of 0 – 1000. You want to be at least 200 but preferably over 500 on this scale.  The level on the scale is indicative of your “Open Heartedness.”  This has to do with your openness to the Divine.  Practicing a Parasympathetic state which includes emotions of thankfulness, gratitude and joy helps you score higher. Where are You? 39.  Would you like to have a healthier heart?  Would you like to experience more peace and joy? 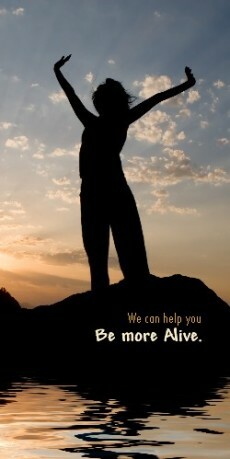  Would you like to help others be healthier and experience more peace and joy? 43. To Keep an Open Heart Place 1 – 2 drops on your left hand, over the Vita Flex Heart point, and with your right hand, put some of the oil from your hand on the Vita Flex on your left foot for the Heart. Then put some of the oil over your Heart. 48. FRANKINCENSE 48 Place 1 – 2 drops on your hands and Inhale 3X throughout the day. 49. JOY To Keep an Open Heart Place 1 – 2 drops on your hands and Inhale 3X throughout the day. 52. Peace & Calming To Keep an Open Heart Place 1 – 2 drops on your wrists and the base of your skull. Inhale 3X before bed. 66. Keep an Open Heart with Essential Oils For your Health For your Happiness For the Health and Happiness Of those around you…. 67. Thank you for watching! Presented by: Dr. Patricia L. Lawler DC.DACBN.CTN.DCBCN. Thank you for your interest in Dr. Pat’s presentation! We hope you found it useful. Would you like to know more about or purchase one of the Young Living essential oil products highlighted in this presentation? Are you a Young Living member? Please refer to your membership materials or your up line for specific product information. Have you already spoken with someone about Young Living products and/or membership? Please ask your contact for the information or products you want. You are welcome to contact us with your request. Alternatively, you can check out our Young Living Storefront Service Panel for directions on how to quickly get what you need. Share your feedback in the comments below and/or on the social web. If you enjoyed this presentation, you will note that there are others from Dr. Pat in the sidebar available to view. We encourage you to stay connected as we develop more healthful resources to come. Facebook: “Like Us” if you like us.